A YEAR OF JUBILEE REVIEWS: Simultalk Touch Screen Speaker Giveaway! The little speaker with the BIG sound. 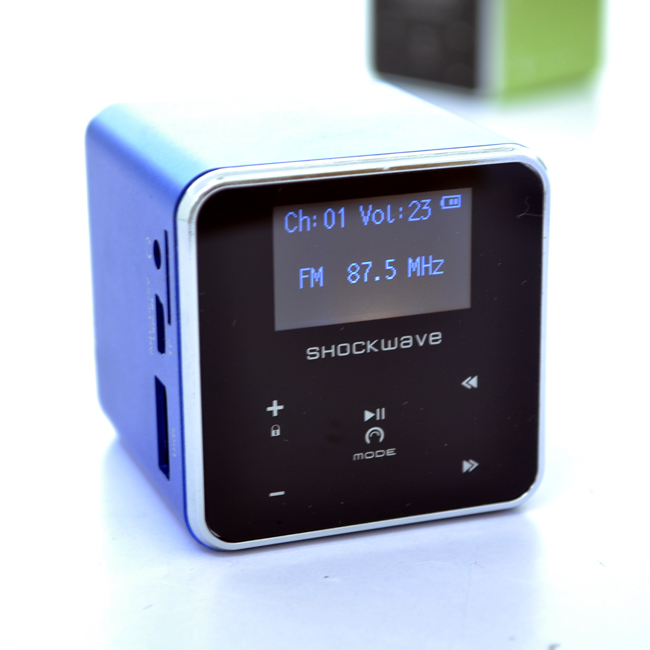 Dramatically improve the sound of all your devices with the Touch Screen portable speaker/mp3 player. Enjoy rich deep bass along with crystal clear highs. I love listening to my ipod! Cranking it up to listen to music is a soothing part of my day. I have trouble though listening to my ipod with headphones on, and raising 6 kids! Yes I can do it, to tune them out, but there is just too much going on around me to handle it. I love this touch screen speaker where I can plug in my ipod, crank it up and the kids and everyone around me can listen together, and I don't miss out on the things going on around me. It is portable to carry to the kitchen when I do dishes, take to the front porch when I want to be outside, put beside my tub for soothing sounds, and taking to the basement when the kids want to dance to their own music. So versatile, so handy, so wonderful!! It charges right on your computer so need for batteries. Direction are super easy to follow, which this non techy really needed! Simultalk offers simple solutions to common problems with products like Sports headsets, iphone solar case, portable power bank and much more! This is a perfect back to school gift for your teens, or stock up now for Christmas! I know my kids went crazy over this mini speaker! Enter to win a Touch Screen Speaker from Simultalk!! OH! My dd would love this!! (I would too, but I know that it wouldn't stay in my possession for very long). Blue. If I won this, I would love to get green! I would like the pink speaker. I would love to have pink! Ha ha -- I'd REALLY like red, but they don't have that, so I'd go for silver or black. I like the silver or the black - the blue is nice too. I like the Gun Metal Grey. I love this!! I'm not 100% sure on color, but probably silver or black. Bue but I like them all. Pink would be my choice! Hi, what a great web blog. I usually spend hours on the net reading blogs on digital jukeboxes. And, I really would like to praise you for writing such a fabulous article. This is really informative and I will for sure refer my friends the same. Thanks.